Have you booked your Christmas party yet? I know it seems like it’s still far away, but with Thanksgiving under our belts (no pun intended) and Halloween around the corner, the next big thing to look forward to and plan for is Christmas!! I absolutely love the holiday season and have no problem brainstorming gift ideas and thinking about decor, even in October. However, one part of Christmas that does seem to sneak up on me (and many other folks I’m sure) is the scheduling and planning of holiday parties with friends, family and co-workers. So, here is a friendly reminder that now is the perfect time to book your party or get-together, and the Canoe Museum is a fun and interactive venue for you and your guests.When you book the rental facilities at The Canadian Canoe Museum, your rental includes: tables & chairs, tableware & stemware, tea & coffee, access to our fully equipped kitchen, access to all of the Museum’s audio-visual equipment, as well as friendly and accommodating Event Staff. If you’re looking to make your event unique and memorable for your guests, consider adding kid-friendly programming, access to the Museum’s galleries, or guided tours. Visit our website for testimonials and information on rates and site specifics! Now, if you’re thinking about your Christmas parties you might as well consider your Christmas shopping and avoid the headache of trying to find cool and unique gift ideas at the last minute! 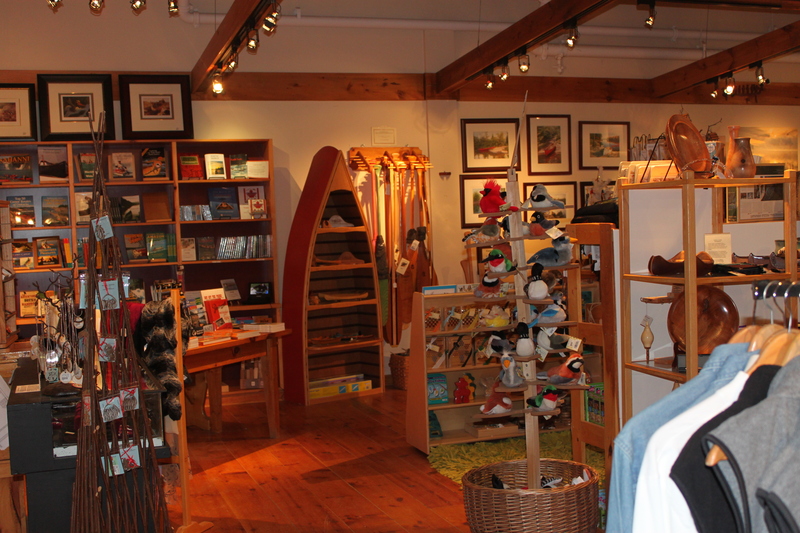 The Museum gift store has loads of creative stocking stuffers and gifts, like artisan kits, clothing, books, toys, pottery, jewellery, art and more. For “green” gift-giving ideas consider our Adopt-a-Canoe program, a Museum membership, Museum gift certificates or simply making a donation in honour of the recipient. There is literally something for everyone on your list! Stay tuned as we announce deals, discounts and extended holiday gift store hours to make your shopping even easier. Ok, I hope this post wasn’t too painful for those of you that just can’t bear to think ahead to Christmas and the holidays just yet. I’m simply planting that little seed to say that it is coming fast and the Canoe Museum is great place to start your planning!